“Wholesome” bridges material, scale & aspects of early industrial development to reflect the dynamic future of a growing city. Highlighting the Northern Gateway to Santa Rosa’s Arts District, it creates a visual island of calm & intention. Installed on a triangular island at the intersection of 5 different streets, this work also references 5 building blocks of this site through texture, material, scale, orientation & mass. The focal point of the 7-ton sculpture invites viewers to enter the 13-foot diameter ring. The massive core-tin base emerges from underground & supports the vibrant stainless steel ring. 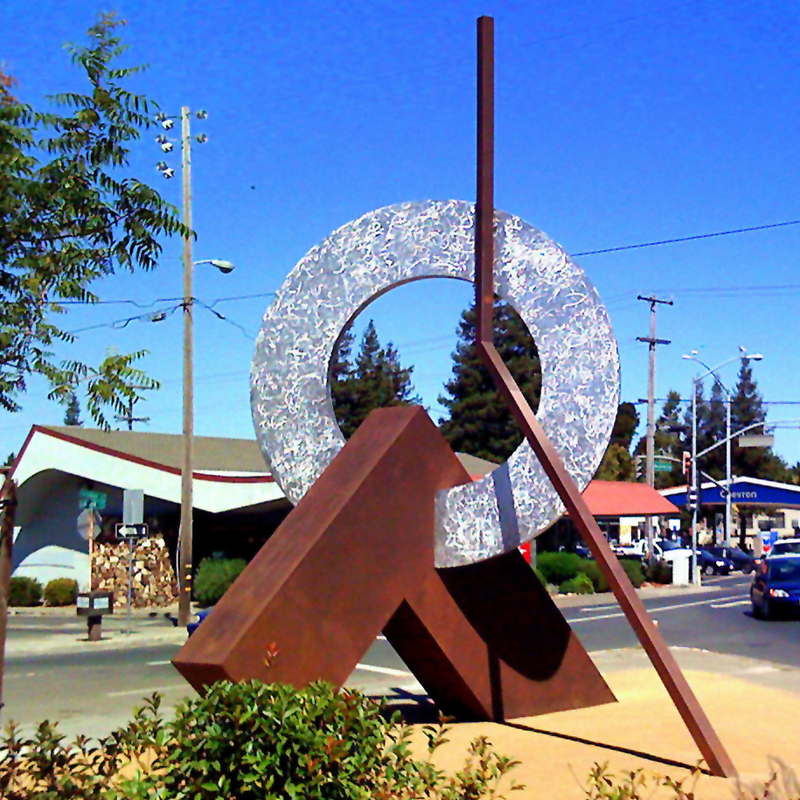 The sculpture’s scale bridges to the surrounding buildings while the ring is a visible beacon to the extended community seeking this “Gateway” from afar. The treatment of the steel reflects the flat facades & of the surrounding contemporary architecture while also inviting the dramatic colors of the Sonoma County sunsets inviting the community in even as the day comes to an end.